The pine grove is mostly surrounded by swamp and dense woodlands, which features some very tall, mature white pine trees. The grove has been used for camping and is suitable for picnicking. The forest extends southerly to a hillside but no trails are currently visible. The property limits are not marked and the area is not maintained regularly. 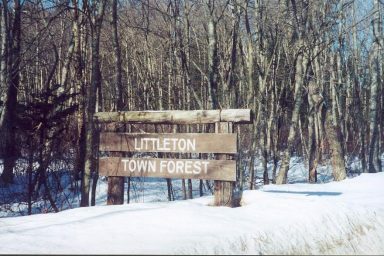 An abandoned AT&T right-of-way exists outside the forest and can be seen at Harwood Avenue. This right of way is very muddy and is generally unsuitable for walking. 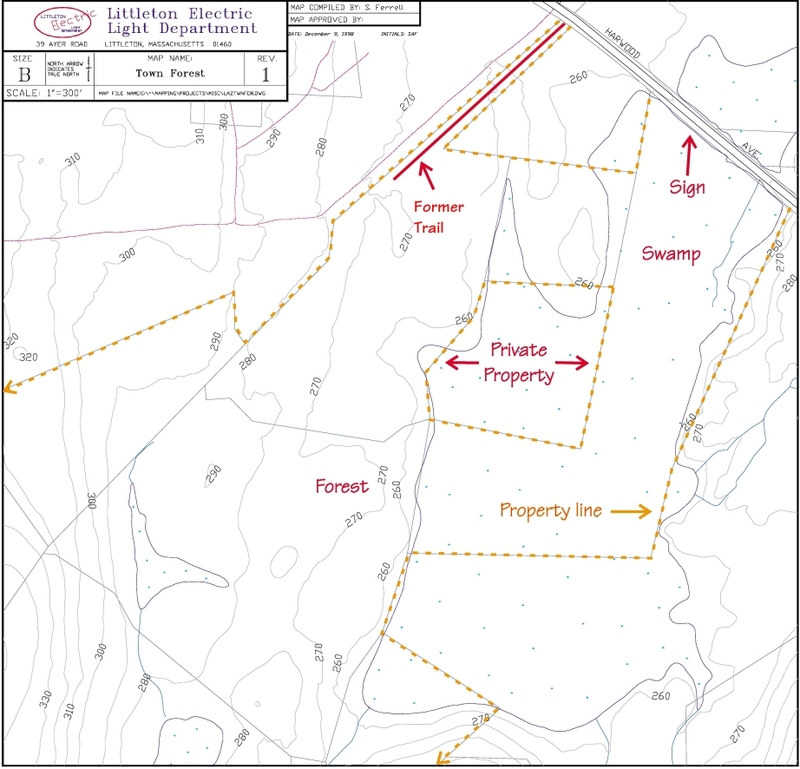 Access to the property is by a trail that starts approximately 300 feet northerly, (toward Foster Street). Parking is very difficult as the shoulders are very narrow along Harwood Avenue at this location. Parking is best at Bumblebee Park with a walk of 10-15 minutes to the trail head. Trail access is minimal due to swamp conditions and the presence of new homes on Harwood Avenue. The trail is not marked and is overgrown. The trail, which is very wet in the spring, leads to a large pine grove about 900 feet into the forest.